I read this article and found it very interesting, thought it might be something for you. The article is called Puducherry Has Among The Best Health Indicators In India, And Here’s Why and is located at https://archive.indiaspend.com/cover-story/puducherry-has-among-the-best-health-indicators-in-india-and-heres-why-61720. 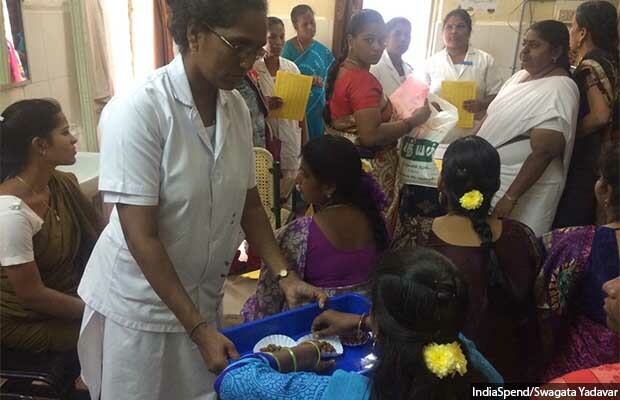 Puducherry: Between 8.00 and 9.00 a.m. every day, 150 diabetes patients gather at the out-patient department (OPD) of Puducherry’s Kosapalayam Primary Health Centre (PHC) to get their daily insulin shots. This is a rarity in India’s public health system, as it requires good community-wide disease management and consistent supply of medicines, something Puducherry’s health system is uniquely known for. The union territory of Puducherry surpasses India’s performance on most health indicators. Its infant mortality rate is 16 per 1,000 live births same as Vietnam, while India’s average is 41 same as Ethiopia. Nearly 99.9% of births take place in health institutions and 91.3% of children are immunised, as against the Indian average of 78.4% institutional births and 62% child immunisation. Part of Puducherry’s success is thanks to its small population–its 1.24 million people give the state a population density of just 2,598 persons per square kilometre (sq km). By contrast, Delhi has 16.8 million people, or 11,297/sq km. However, more credit goes to the fact that Puducherry’s administration has long prioritised healthcare by, among other steps, spending more per capita on health than other, richer states; setting up adequate numbers of medical colleges; and leaving no positions vacant in its health administration. IndiaSpend visited Puducherry to see what lessons it can offer the rest of India. Established on July 1, 1963, Puducherry, formerly Pondicherry, is a Union Territory–governed by the federal government–formed out of four enclaves of former French India and named after the largest, Pondicherry. Puducherry and Delhi are two union territories entitled by special constitutional amendments to have an elected legislative assembly and a cabinet of ministers, which gives it partial statehood powers. The special provision permits the administration to make laws on certain matters. Puducherry consists of four small, unconnected districts: Pondicherry, Karaikal and Yanam in the Bay of Bengal, and Mahé on the Arabian Sea. It has a total area of 492 sq km and a total population of 1.24 million. Puducherry’s focus on healthcare is clear from its budgetary spending: the UT spends 1.85% of its gross domestic product (GDP) on health, compared with 0.86% in Delhi and 0.74% that most major states spend, according to National Health Profile, 2017. Its per capita health spending is 28% more than Delhi’s and 98% more than major states’–Rs 2,778, as against Rs 2,088 in Delhi and Rs 940 in major states. Greater spending is usually linked with better health outcomes–on average, all union territories combined spend 2.03% of GDP on health while the northeastern states spend 3.12%, and most of them report good health indicators. Puducherry’s success, however, is due also to consistency. It has been investing in healthcare since 30-40 years, Sakhtivel Selvaraj, health economist from the non-profit Public Health Foundation of India, told IndiaSpend. It has a better governance system overall, a more educated population that demands better services, as well as an efficient public distribution system. As a result, it has served as a model for its larger neighbour, the state of Tamil Nadu, which has emulated Puducherry’s concepts of centralised drug procurement and a dedicated public health cadre, Selvaraj said. Puducherry’s health infrastructure is well established. For a population of 1.24 million, it has one government medical college, seven private medical colleges and one central government-run Jawaharlal Institute of Postgraduate Medical Education and Research (JIPMER). Altogether, these institutes offer 1,000 seats in undergraduate medicine courses (MBBS, or Bachelor of Medicine, Bachelor of Surgery) and 720 seats in undergraduate nursing courses, more than enough to meet the needs of its population, even “surplus” as per this government report. “Medical students do not have to pay tuition in our college,” said Kavita Vasudevan P., head of the department of community medicine at the government-run Indira Gandhi Medical College and Research Institute. Most people prefer seeking care in public institutions because even surgeries are conducted free of cost, she said. 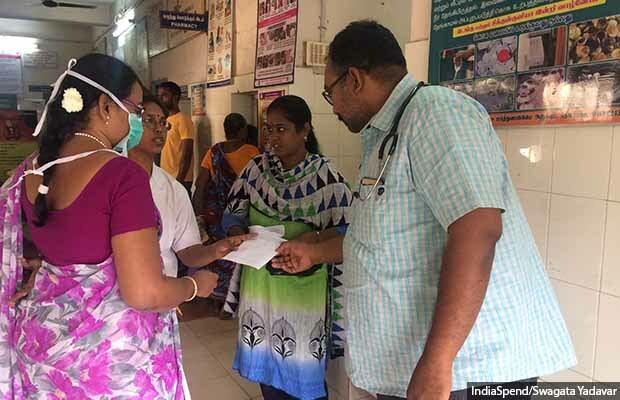 When IndiaSpend visited the PHC at Kosapalayam locality of Puducherry city, Nisha, a health assistant who goes by her first name, was preparing reports on the schools she had to visit that month to screen children for anaemia. “All schools in Puducherry have to give the children weekly iron and folic acid tablets, those below five are given syrup and I am incharge of 19 schools,” she said. It is her duty to counsel schoolchildren and maintain a consistent supply of drugs. She also has to collect four water samples every month and check for bacterial contamination, as well as perform malaria and fever surveillance. With a diploma in sanitary inspection, she has been working with the government for seven years. There are surplus numbers of ANMs and medical officers in Puducherry, the Rural Health Statistics of 2016 say. Instead of 24 medical officers required as per the Indian Public Health Standards issued under the National Rural Health Mission, there are 48 in position; instead of 54 female health workers as required, there are 109. Also, unlike most states, there are no vacancies for specialists or male health assistants. The fact that the government has been recruiting more permanent staff than contractual workers may also explain why few seats are vacant. Of the ANMs recruited, 70.2% were regular appointments while 29.7% were under contractual appointment under the National Rural Health Mission (NRHM), a flagship health programme launched by the central government in April 2005. A majority of staff nurses (96.4%) were regular employees, as were pharmacists (95.25%), according to the 2013 Health Workforce Report. When IndiaSpend visited the PHC at Mettupalayam locality in Puducherry city, it looked clean and had a well-maintained herb garden. Its senior medical officer, Anbusenthil G., explained the strict protocol maintained for handling biomedical waste, and spoke of plans to apply for the central health ministry’s Kayakalp Awards for public health facilities that display exceptional cleanliness and hygiene. The centre caters to a population of 40,000 and receives about 300 OPD patients each day, yet a sense of order prevails. Seriously ill patients, mothers with young kids and pregnant women are given preference. Staff are trained to record patients’ vital signs such as blood pressure and weight before they see the doctor. In catering to pregnant women, it goes a step further–apart from counselling them in prenatal care, it offers them snacks while they wait for their turn to see the doctor. In the last trimester of pregnancy, women are taught how to make a delivery kit and keep it ready–with sanitary napkins, towels, a set of clothes, etc.–so that there is no last-minute panic while rushing to hospital. The PHCs do not conduct deliveries since hospitals are so accessible, Anbusenthil said. IndiaSpend also visited the Kurumbapeth sub-centre that falls under Mettupalayam PHC. ANMs Geeta M. and Hemalosani Selvan said they cater to 2,612 households comprising 9,962 population. They visit homes every day to meet, register and counsel pregnant women. “There are a lot of migrants who have settled here, we make sure that we visit them and get their pregnancy registered,” Geeta said. Do well-off women get their pregnancies registered? 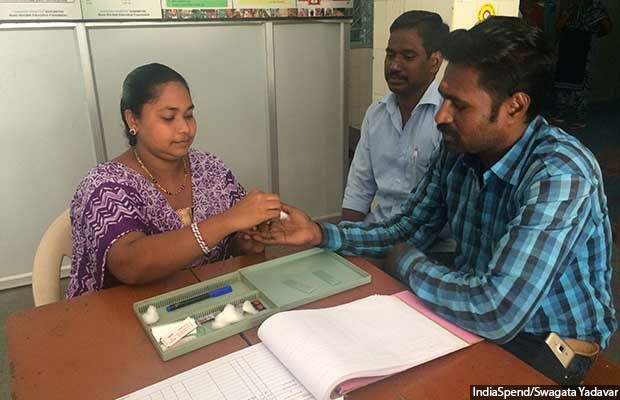 “Yes, we are supposed to get every pregnancy registered but they may choose to not take antenatal care from us,” she said, adding that in many cases, the counselling by ANMs is better than at private centres. Having established efficient systems to manage maternal and child health as well as communicable diseases, Puducherry is now focusing on managing non-communicable diseases (NCD), which are usually connected with lifestyle. Puducherry is witnessing an increase in reporting of lifestyle diseases such as diabetes, obesity and hypertension: 36.7% of its women and 37.1% of men are obese; 7.3% women and 7.5% men report high blood glucose levels, a sign of diabetes; and 6.9% women and 11.7% men have high blood pressure, according to the latest National Family Health Survey (2015-16). Most PHCs, such as in Kosapalayam, host a NCD clinic on Tuesdays where patients are screened for diabetes, hypertension and cancer. Patients are given free medicines for upto two weeks and are asked to follow up, many are also referred here by larger centres. The PHC at Kosapalayam is among the few that work two shifts–8 a.m. to 2 p.m., and 2p.m. to 8 p.m. “We see about 250-350 patients in OPD every day,” said Ashwini T., the medical officer, explaining that the high footfall is thanks to the availability of health staff in two shifts, free medicines and diagnostics, and better awareness. The PHC is has two doctors, four nurses, three health assistants, one inspector, eight Auxiliary Nurse Midwives (ANM), one laboratory technician, two pharmacists and one tuberculosis health visitor. There are no vacancies. 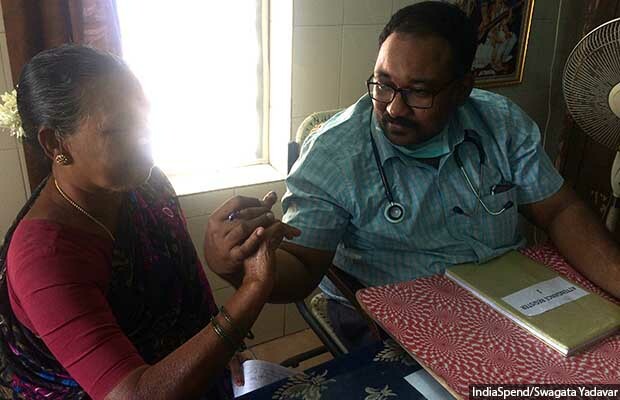 “Here in Pondicherry, people are very active [aware], they themselves come and seek treatment in PHC,” Ashwini said. Even people from neighbouring Tamil Nadu come to PHCs in Puducherry for their better facilities, she said.